Afternoons by appointment. Please use our "Contact us" page, or call 320-297-0205. (Please leave a message. 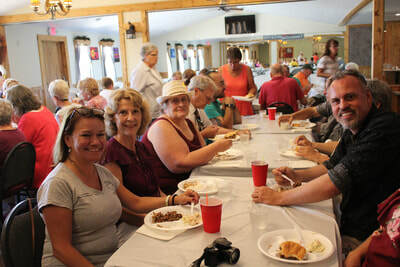 Our tour guides are all volunteers and have day jobs.) Please contact us a few days before you want a tour! June - Sept.
Tours are $5 per person, and $2 for children under 12. Groups (4 or more) and tour buses are encouraged to contact us for information on tours outside the regular hours. Use the "Contact us" page on this website, or message us on Facebook. We are happy to accommodate! Family reunion, friends visiting from afar? Book a tour of the Christie home! "After Hours" tours for 2018 by appointment. These tours will begin at 6pm. $10 per person. Pre-registration is required!! Space is limited. Tours will end in time for you to make it to the Long Drive In for movies! "Main Street" - approximately 6 blocks. "Off Main" - approximately 10 blocks. 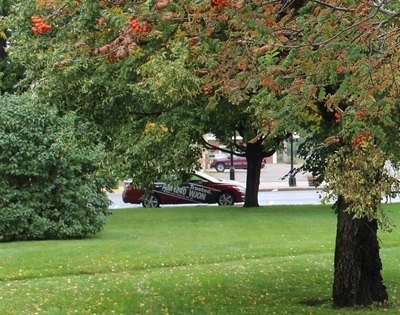 ​Come explore the origins of Long Prairie. ​To book a walking tour, use our Contact Us page or call us at 320-297-0205. Comments we received: "What a gem! I have loved perusing the website, it is very well put together and the pictures and all of the information are wonderful! I can't wait to tour this home. Thank you to all who make this possible." 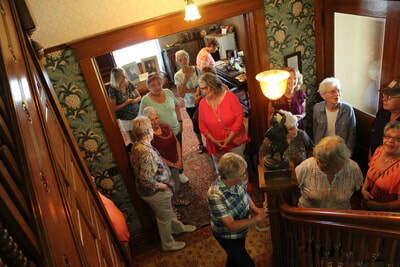 FANTASTIC group from Redwood Falls, Morton, Willmar and area toured the house on Sat. July 22, 2017. Thunder Lodge served lunch to the group before the tour. Thanks to Nicole Elzenga with the Renville County Historical Society and Museum, Patricia Lubeck with the Redwood County Historical Society and Museum, and Adrian Lee for organizing this tour! Stop in and visit Nicole and Pat at their museums, and check out their upcoming events, too! 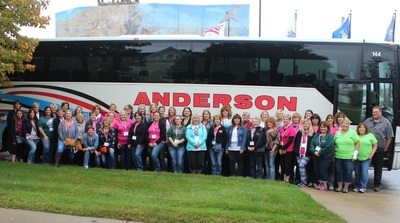 Saturday, Sept. 24, 2016, we were visited by The Pink Bus Mystery Trips! A wonderful group of ladies from the Fargo area stopped by to tour the home; followed by a visit from reporters Chrissy and Rebecca from WJON Radio, St. Cloud! 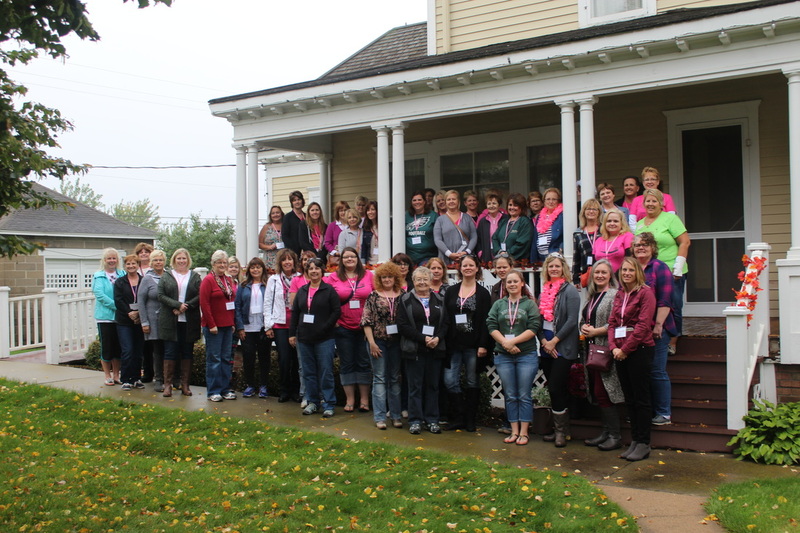 The Christie Home welcomes a "Mystery Tour" bus! We make a great mystery tour destination! 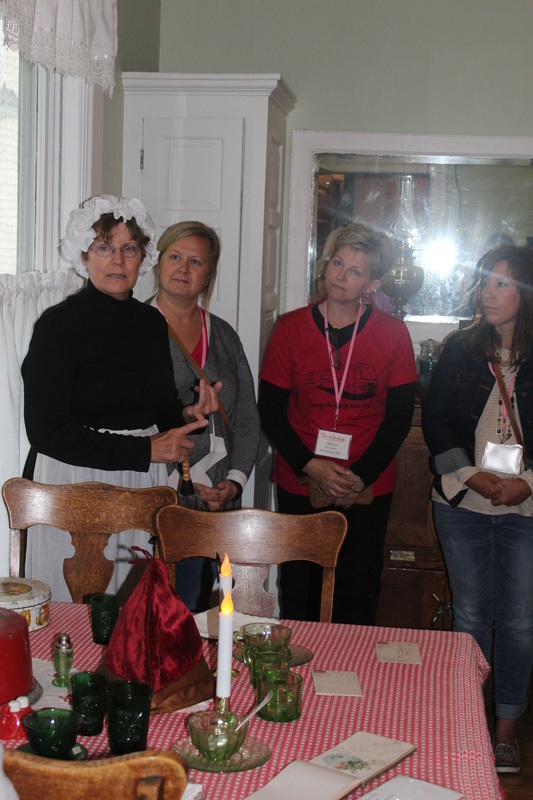 Chris Petron and Pat Gray, Christie Home Historical Society tour guides, are flanked by visitors from New York Mills. 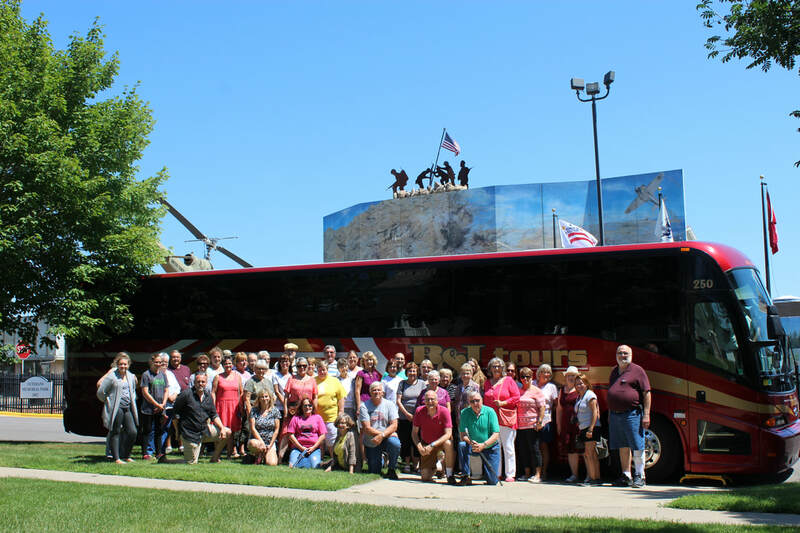 Saturday, July 18, 2015 was a beautiful day for a tour - just ask any of our 47 visitors from New York Mills. Our group of visitors toured the Christie home and had nothing but praise for the Christie Home Historical Society's care of the house and its furnishings. 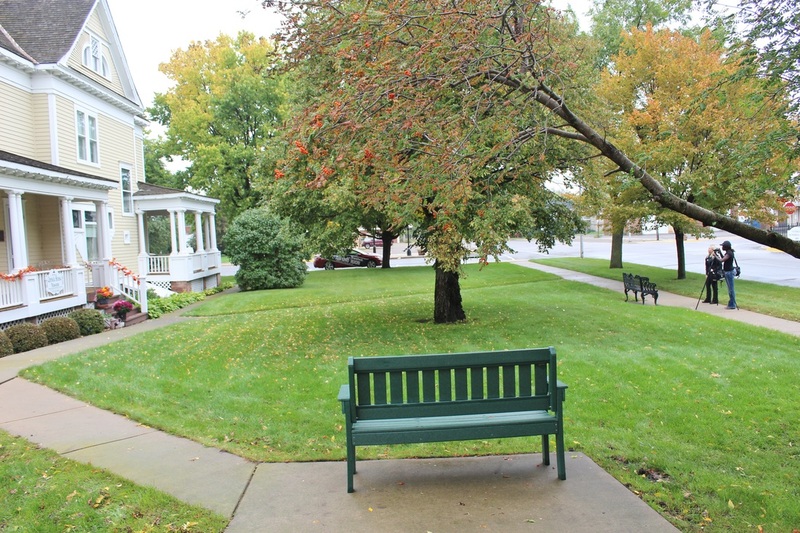 Rarely is found an historical home with all the original owner's furniture, linens, dishes and decor. Drs. George and Robert Christie's medical library and office provided a trip back to a time when it was a commonplace medical practice. Self-guided tours of the Long Prairie Veteran's Memorial Park were met with many compliments to our community for such a remarkable tribute to our military men and women. Christie Home tours such as these are welcomed by appointment. 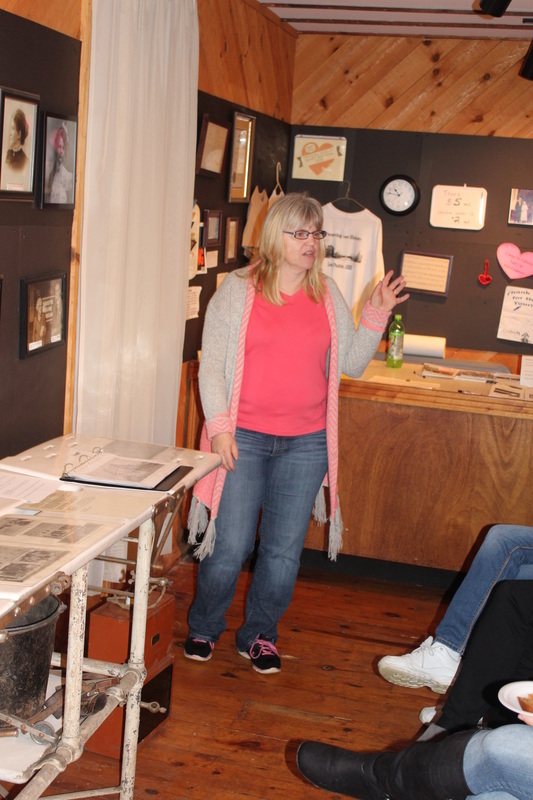 Drop-in tours are offered Wednesday through Sunday 1:30 PM to 4:30 PM during June, July and August. Please help us serve you better. Thank you!